Submersible pump designed specifically for pits with small size (minimum 20 cm x 20 cm). Suitable for pumping clean water containing particles with maximum diameter up to 5 mm. 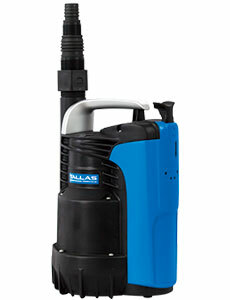 Very low priming and starting level of the pump 10-15mm (manual mode) and low suction capability down to 2-3 mm.